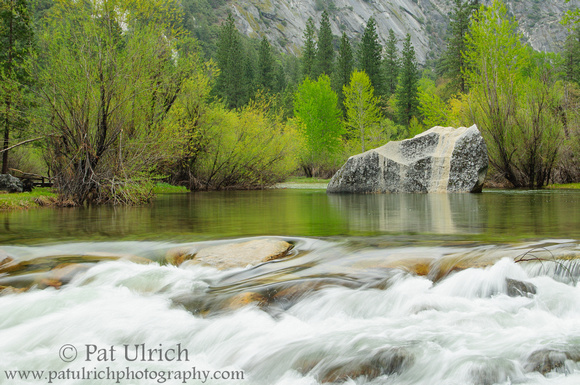 I recently spent some time digging through my archives from a May 2011 trip to Yosemite National Park. I had processed some of my favorites right after the trip, but it was fun to delve a little deeper for images I had initially overlooked. It's so easy to get caught up in the dramatic rock faces, that I had passed over some of the more intimate scenes I stopped to photograph along the way. I found a few "new" images that I'm excited about, including this one, but what stood out to me the most during this exercise was the incredible beauty of Yosemite National Park. We only spent a couple of days in the valley on that trip, but there are so many stunning scenes. It is a photographic regret of mine that we didn't spend more time in that incredible place while living in California -- but it's nice to have a list of good reasons to go back and visit!